Save for Turkey and Tunisia, all Muslim nations allow polygamy but place restrictions on a man’s right to have multiple wives. Among the arguments that the Supreme Court relied on to invalidate talaq-e-biddat, or instant divorce, last year, was that the practice was considered unIslamic in even Muslim countries, many of which had abolished or reformed it. This method of referring to practices in Muslim countries will spring surprises on the court when it decides, as it recently said it would, on the constitutional validity of polygamy, which Muslim Personal Law in India recognises. That is because unlike in the case of talaq-e-biddat, only Turkey and Tunisia have proscribed polygamy outright. For Muslims, polygamy draws its validity from Chapter 4 of the Quran. Its verses allow men to marry “two or three or four” women, but ask them to have a single wife if they “fear” they cannot treat them all with equal fairness. And this, verse 129 declares, is difficult for men to achieve despite their best efforts. Blame patriarchy for the selective application of Quranic injunctions on polygamy. Such a taint, though, does not lie on Turkey, which outlawed polygamy in 1926. Tunisia, too, prohibits “plurality of wives” and a man found guilty on this count can be punished with a year’s imprisonment or a fine, or both. Turkey and Tunisia’s marriage laws are a radical departure for societies where polygamy has religious sanction. Most Muslim countries do not flout the Quranic approval for polygamy, but seek to mitigate its inimical impact on women by curbing the husband’s unilateral right to have multiple wives. The more severe the curbs, the better it is for his wife. Algeria allows polygamy with certain conditions – the previous wife or wives must consent to their husband’s new marriage and a court must determine whether the man can meet the “legal condition of equal justice” to all wives. In case her consent has not been secured, the previous wife can initiate divorce proceedings. Morocco has gone a step farther. A marriage contract disallowing the man to take another wife is binding on him. In the absence of such a clause, the man has to notify the designated court about his intention to marry again, and provide proof of his financial capacity to maintain multiple wives. The court summons the first wife, hears both parties in camera, and may permit the man to marry again after stating its reasons in writing. In this event, the court may accept the first wife’s plea for divorce and determine the maintenance allowances due to her. This amount has to be paid within seven days, failing which the man’s application for marriage would be deemed withdrawn. In Somalia, a man can contract another marriage only for specified reasons – his wife is certified sterile by a panel of doctors, or suffers from an incurable disease, or is imprisoned for over two years, or is absent from her matrimonial home for a year. A Somali man must have verifiable reasons to be polygamist. Some of these conditions also constitute exceptions to Indonesia’s law limiting a man to have one spouse at a time. In addition, the Indonesian man has to take his wife’s consent to marry a second time, furnish proof of his financial capacity to maintain multiple wives, and guarantee their equal treatment. Legal justification and financial capacity are factors that courts both in Syria and Iraq must examine before allowing a man to have more than one wife. In Iraq, a court can also disallow the husband from marrying again if it concludes there is a possibility he would be unjust to them. In many other Middle Eastern countries, though, protection to women against the inherent harshness of polygamy is feeble or non-existent. In Egypt, for instance, the man has to state whether he is already wedded while registering his marriage. In case he is, his first wife is informed of the new marriage. She has the option of divorcing him, but the right is extinguished after a year of her being informed. In Bahrain, the man is required to inform his wife of his new marriage only if their marriage stipulates against him taking another wife. In Jordan, violation of such a clause in the marriage contract entitles the wife to seek divorce from him. In many Muslim countries, polygamy is practised with or without the consent of wives. Consent is often a function of the women’s economic independence. Those who are not financially independent cannot deny consent to their husbands insistent on taking another wife unless their paternal homes are willing to support them. For precisely this reason, wives might not divorce their husbands who want to marry again even in violation of their marriage contracts. Legal provisions compelling the polygamist to maintain his previous wife or wives can help limit the incidence of polygamy. For instance, polygamy in Qatar and the United Arab Emirates, both wealthy countries, has been declining. The principal factors cited for the decline are galloping living expenses and the rising trend of employment among women. Conscious of polygamy’s economic impact, Malaysian courts can reject a man’s application to marry again if they feel it would lower the living standard of his wife or wives and their dependents. In Pakistan, the Muslim Family Laws Ordinance, 1961 lays down the conditions for a man to take another wife. Bangladesh inherited this ordinance, and adopted it, at its formation in 1971. Under this law, the man must seek permission to marry from the chairman of the Union Council, an elected local government body. The chairman then asks the man and his wife or wives to nominate a representative each for reconciliation that an Arbitration Council is required to facilitate. The Arbitration Council determines whether it is “just and necessary” to grant permission to the man to contract another marriage. The wife can appeal the Arbitration Council’s decision before the district collector. If the provision to seek permission from the Union Council is violated, the wife can lodge a complaint and her husband can be imprisoned for a year or fined Rs 5,000, or both. 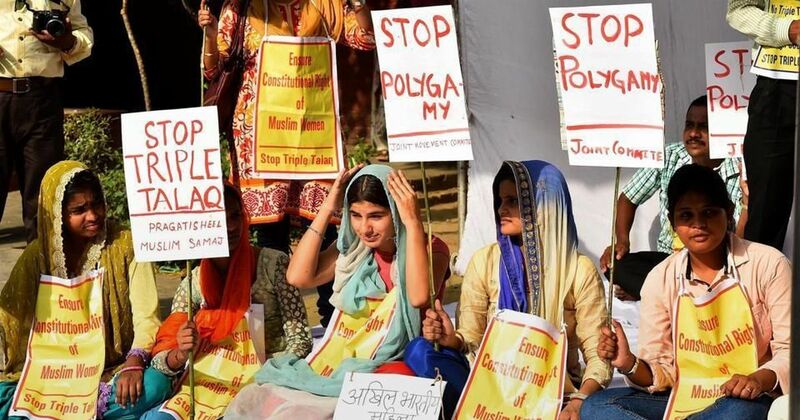 In India, polygamous Muslim marriages have been the subject of court cases. In Itwari v Asghari, the Allahabad High Court ruled in 1959 that a Muslim man was legally entitled to marry again but he could not compel the first wife to live with him. It described the second marriage as a “continuing wrong” to the first wife who is consequently justified to dissolve her marriage. Nearly 24 years later, the Supreme Court will determine whether polygamy is constitutionally valid. But it may not be able to find an argument to ban the practice in case it chooses to look for laws proscribing it in Muslim countries. 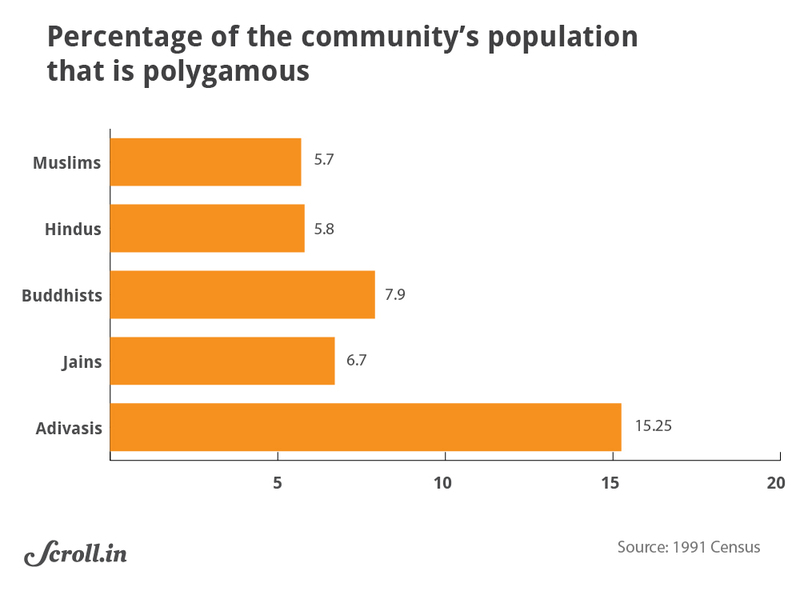 There is also an irony here: the incidence of polygamy among Muslims is the lowest of all religious groups in India. This fact Hindutva groups will gloss over as they seek to exploit the debate on Muslim Personal Law resulting from the Supreme Court’s hearing to consolidate their base. Ajaz Ashraf is a journalist in Delhi. Yes, big irony: talking about Muslims when non-Muslims in India practice polygamy more than Muslims do.